Digestive Pyrotechnics: What The Duck !?! The disney universe has quiet a few popular ducks. But how are they related? The three little ducks Huey, Dewey, and Louie are brothers, that we know. ... and Donald also calls Scrooge McDuck - Uncle Scrooge WTF? In all these men and boys.. where are the women? You can't just have kids without the women getting a little involved no? Scrooge McDuck has two siblings - Hortense McDuck and Matilda McDuck. 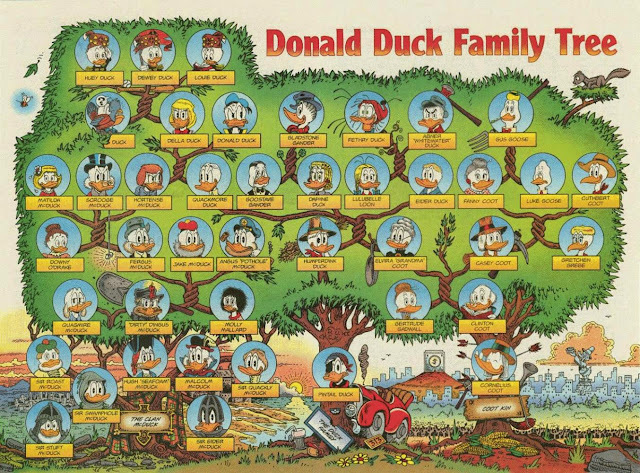 Hortense McDuck is the mother of twin ducks, the ever so popular Donald Duck and his sister Della Duck. 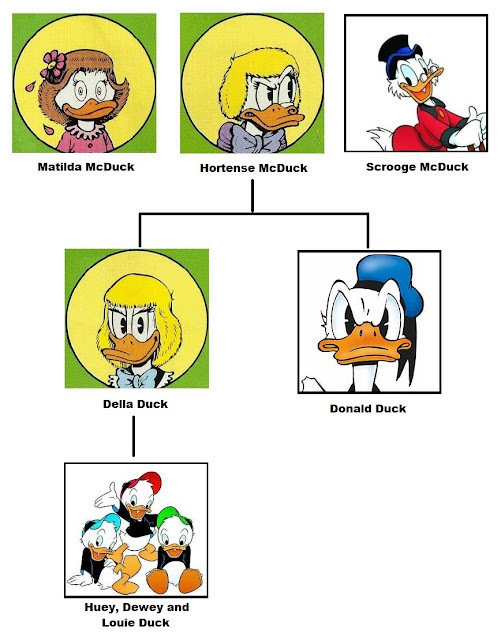 So though Scrooge is Donald's uncle, he is the grand uncle of Huey, Dewey, and Louie. That makes him Uncle Scrooge to both. The full picture is even more complex!